Just what happened on Dec. 21, 2012 ? What were you doing on Dec 21 / 23, 2012 ? This is an appeal to all Maya Calendar People, and the rest us of us too, to tell us what you did when the odometer rolled over: 4-Ajau 3-Kank’in, 4-Ajau 3-Kank’in, 4-Ajau 3-Kank’in … keep repeating this mantra …. Really, all the excitement was about one part of at least a 6 part Maya Calendar. The change took us through a truly magic number that occurs just one day out of almost 2 million days. 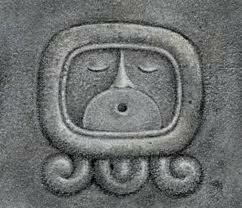 Just like European cultures have magic numbers like Lucky 7’s, bad 13’s, etc, the ancient Maya thought 13 was special. 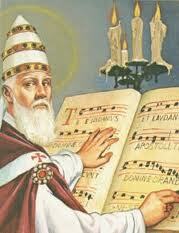 13 months in the religious calendar (Tzolkin calendar), etc. Since the Long Count (a 5 digit number) gets to the value 13.0.0.0.0 only once every 5000 years, … then sometime between Dec. 21 or Dec. 23, we moved from the Maya Calendar Long Count’s first magic-number of 4-Ajau, Dios 9, 8-Kumku, through 5,126 years as 1,872,000 days, to the mysterious magic ” 13.0.0.0.0 “, when the odometer rolled over to … the magic 4-Ajau 3-Kank’in. The mystery deepens, as this magic date is only mentioned on 2 somewhat minor stelae at minor Maya sites. For a day that is prophesied to echo through the ages, why is there no other written evidence of it found at any of the other of 10,000’s of Maya sites? 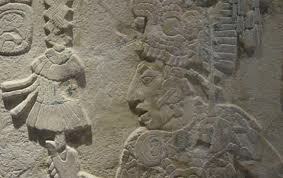 Still, the Maya placed great emphasis on dates, with over 300 dates found recorded on stelae across Maya lands. Is Dec. 21’st, The Day ? Was this past Winter Solstice even the mystical 4-Ajau 3-Kank’in? Consider whether we are counting days or counting elapsed time, e.g. Did they starting from 1 or zero? Counting time and counting days are not like counting coffee beans (a Maya currency). If it is 13 hours past New Year’s Eve midnight, and I ask you what time it is, you will likely say: 1:00 o’clock ~ because an hour has elapsed since mid-day. If I then ask you what the date is, you would tell me that it is January 1. So, one hour has elapsed since noon => “1”, but zero days have elapsed in the New Year, and yet we call it “1” too??? Can calendar experts prove the Maya counted days by elapsed time? (No…) Did the Maya Calendar start with zero or with one? (Hint, their day names in one system start counting with ZERO: as 0 … 19 to count off 20 days in a “month”.) This issue exists in our calendars in English: Consider how we define years of age for babies: Only after 365 days have elapsed, do we say a baby is 1 year old, (recognizing a zero year and counting years by elapsed time), but then we use “January 1” is used to represent the zero day of the year. Us? We sleept-in all 4 days – enjoying time with the new nietecito in Colorado. Is it really appropriate to jump into the Thor v Maya topic now? 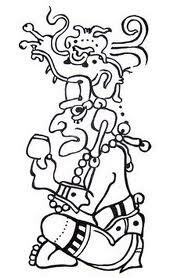 Unnnnngh… I just realized that many folks may not have previous experience manipulating the Maya Calendars, and the previous comments about the first Long Count date of 13.0.0.0.0 (aka The Day: 4-Ajau 8-Kumku and the upcoming Day: 4-Ajau 3-Kank’in = Dec 21, 22’nd, 23’rd, or 24’th, 2012), may not make much sense the first time you hear about it. Let’s take a stab at grocking the Maya Calendar(s). The Maya Calendar has a number of systems for tracking the passing of days and tracking different (celestial) events. Just like our Gregorian Calendar, they have a 365 day solar year, called the Haab calendar, useful for farmers to know whether this is a good month to plant or not, based on the coming rainy season or coming dry season. 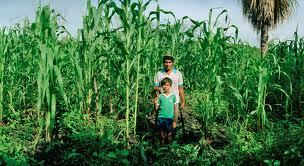 The Haab month name for corn planting months here in Yucatan actually says to “plant your corn” in our June/July period, so the seeds and young plants get plenty of rain. The the Haab month name for November/December is corn harvest time, when the corn is nice and dry due to little or no rain = no moldy stored grain. In addition to the Haab year calendar, there is a religious (Tzolkin) calendar with 260 days in a Religious Year, just like the Zodiac calendar of Sagittarius, Taurus, Libra, etc. – where there are propitious days to get married, and others when it is better to just stay in bed (read your horoscope lately?). It is believed that the Maya consulted with their local priest, who used the Tzolkin calendar to find out what days were propitious for getting married, sponsoring a ceremony, etc., while Ron and Nancy actually altered US policy based on their Astrological forecasts – affecting the whole world. If you wait until “the moon is in the second house, and Jupiter aligns with Mars” using the Zodiac calendar, then you missed the actual planetary alignments by 2 months, while the Maya calendar nails both dates and the planetary positions, especially when watching the positions of sunrise. Special thanks to Sidney Hollander for creating this. Just like our Gregorian Calendar has day names (Worship the Sun Day, Worship the Moon Day, etc), the Haab (365 day) Calendar and the Tzolkin (260 day calendar) both also have mystical day names, like our Moon Day, Wotan’s day, Thor’s Day, Freye’s Day, Saturn’s (Jove’s/Zeus’s) Day, and Worship-the-Sun-Day , day names, (Monday, Wednesday, Thursday, Fryday, Saturday, Sunday). Hmmmm… Does it make a lot of sense to be honoring ancient Greek, German, Roman, and Scandinavian Gods one day each ~ 2000 years later ~ to honor a 6,000 year old Jewish tradition of 7 days? So, you can now note that the so-called Maya “Calendar” can have 3 different Calendar systems information, with 3 different naming systems, all integrated into a single “date”. There is also another Maya Calendar that tracks the name of the Night you were born on, using a repeating set of 9 names for the Lords of the Night. 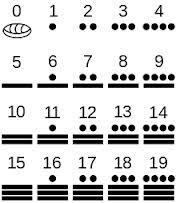 This means that mystical 4-Ajau 8 Kumku as used by the Maya, is better defined by calling it: 4-Ajau, God 9 of the Night, 8-Kumku…. Got it? Well, now consider that there are another 3 – 6 more counting systems used by the Maya, where they tracked the cycles of the Moon’s rising (which modern astronomers tell us is a weird 28.3 days – 28.8 days, varying throughout time), and the rising of Venus (at least at Dzibilchaltun and Chichen Itza), etc. **13.0.0.0.0 , wait wait wait. What’s up with these numbers as dates? I thought The Magic Day, December 21’st, 2012, ( = 12 / 21 / 12 a magical mix of 1’s and 2’s ?) … 4-Ajau, God 9, 3-Kank’in … is a Tzolkin Date name, followed by its Lord of that Night, followed by its Haab Date name? Well, as casually mentioned above, the Maya Calendar(s) also has a “Long Count” calendar date system that uses numbers – running in parallel with the triplets of Tzolkin names, Night God names, and Haab names. In the serial numbering/counting version, the Long Count uses a sequential set of 5 digits, starting with a set of 1’s (from 0 – 19), followed by sets 20’s, then sets of 360’s, sets of 7,200’s, and sets of 144,000’s (just like our 1’s, 10’s, 100’s, 1,000’s base 10 decimal system of counting things). This Maya Long Count Calendar spans 5,126 years and 1,872,000 days in just ONE cycle – each day with its own unique day name… Why have a Long Count, on top of 3 other Calendar counting systems? Sharp ancient Maya could subtract their Long Count Birth Date from today’s Long Count day name, and tell you exactly how many days he has been alive, within seconds. How many modern sophisticated, really smart modern people can tell you, right now, in just seconds of thought, ~ how many suns they have seen ~ , or ~ how many moons they have seen ~ , or ~ how many days have passed since they got married ~ or how many days since we won The Big One, WW2? Sharp thinking old-time Maya could tell you the answers in seconds… without being Rain-Man idiot-savants. Did anybody correlate the discussion of the Long Count with 13.0.0.0.0’s format? Noting this specific date sneaks in another wonder of the Maya world: zero. They realized the value and utility of zero, not just as a point to start counting (0 – 19), but as a place holder ~ to allow the user to record, communicate, and mathematically manipulate very large numbers. For comparison, think I, II, III, IV, C, L, M, and now try to add LMXIV to MXMCXC, without converting to a decimal system. What a bear. In contrast, the Long Count system with its place-holding zeros makes such calculations easy. Celestial accuracy, ease of use, precision over 1,000’s of years, and the beauty of using 20 day months for all months to give the same day name for the first of every month in a year, and the incredible insight to use regular multiples of 20 for easy computation across months, years, decades, and centuries, are still wonders never matched anywhere else in the world for nearly 2000 years. Maybe the real wonder is in the math and the beautiful Maya minds that created such an incredible system? 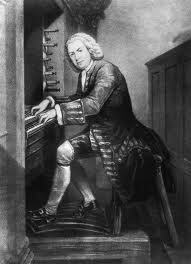 So, just like Bach, Beethoven, and Mendelssohn created incredibly beautiful music that echos through the centuries, in the service of The Church, the Maya created a system of fabulous ingenious calendars to know when to plant, when to schedule a Fire Ceremony, when to anoint a King, when to go to war, and when to go get married. So, spiritual devotion driven by what is considered superstition by many today, created some of the greatest achievements of all time. ~ the Long Count day name …. … not to mention the 2 – 4 (or more) additional Maya event tracking Calendars that are generally unknown to “official” tour guides, Maya spiritualists, and other “experts” on the Maya calendar(s) and the ancient Maya accomplishments. 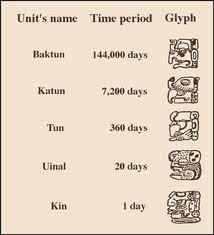 * notice how we slipped in yet a new term, another cycle of the Maya “Calendar” ? 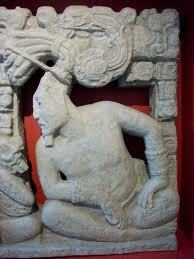 Done pondering the “mysteries” of the Maya Calendar(s)? Now consider: Was one single value ~ a single day ~ in a 6 Calendar or 9 Calendar system cataclysmically or beautifully or prophetically more important than all others, to ALL the varied Maya groups across Mexico, Guatemala, Belize, and Honduras? 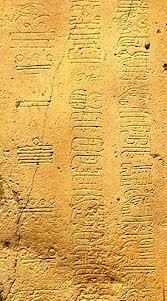 Since this magic date is mentioned on only two stela in all of Maya-Land (most notably found at Tres Zapotes), is it possible that December 21, 2012, or 12/21/12, or 13.0.0.0.0, or 4-Ajau 3-Kank’in is just the day when the odometer rollllls over? Let the hand-waving begin ! 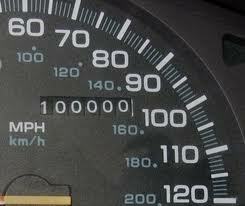 Sure, it is fun to watch the wheels turn and dials spin past 099,999 over to a “1” and 5 zeros. It may be similarly fun to watch the Long Count roll from 12.19.19.17.19 (or 12/19/19/17/19 equivalent to our 12/20/2012 ) to the Mystical Magical 13.0.0.0.0. Which is awfully similar to modern “sophisticated” people counting down from Dec 31’st of 1999 to Jan. 1 of 2000…. Happy End of the Century ! 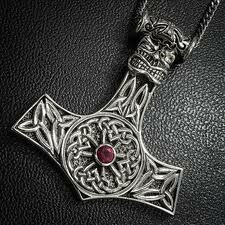 – with all it’s mystical religious month names (Janus looking forward and back/January) and mysterious religious day names (Thor’s Day/Thursday). So, with all the references on expat web blogs and forums criticizing and complaining about ” Maya calendar kooks “, and “their” gathering at Chichen Itza for 2012’s Winter Solstice, is their celebration really so different from the $Trillions that Americans, Canadians, Brits et al spent preparing for “Y-2K” and billions of people celebrating around the world, with parties and gatherings of 100,000’s of people on Dec. 31, 1999? Where will you be on 13.0.0.0.0? But, but, but, don’t all rational people find the Maya Calendar, 2012 End of the World, New Age stuff … nonsense…? A quick google search shows skads of skeptical comments about the Maya, their Maya Calendar and the (supposedly kooky) upcoming Dec. 21, 2012 Solstice event. Is the 20 day month, predictable, mathematically near-perfect, Maya Calendar system of 6 calendars (or more), really any more nonsense than the US/Canada/England/Europe using a Roman Catholic calendar, that honors the old German/Scandinavian Gods and Greco-Roman Gods once every 7 days, honors Sun worship and Moon worship, and honors Roman Gods in many months, has nonsensical 28, 29, 30, & 31 day months that generally do not fit even multiples of 7 our day weeks, which came from a 6,000 year old Jewish tradition? And then our supposedly superior ( nonsensical ) Roman Catholic calendar only relatively recently was adopted outside of Catholic and Protestant Countries, partly because of its gross inaccuracies – so our Gregorian – kluged Catholic Calendar – was not even universally adopted until recent times. Is it really admirable to choose a system that is fully off a whole day every 4 years, and off yet more days at the turns of the centuries, … a wacky calendar that required us to just completely throw out a block of 10 whole days, because of Rome, the Vatican, & Pope’s poor of math skills? Yes, the old Church calendar had to jump from the 4’th of October to the 15’th in the 16’th Century, and the Russians & Greek Orthodox folks waited until 1917, when they had to delete 13 days. So, which really is the nonsensical calendar? One that does not allow easy counting of days, throws out a block of 10 – 13 days, adds an extra day every few years, honors at least 4 different pantheons of Gods from 2,000 – 6,000 years ago, mixing in token worship of the Moon and Sun every seventh day. ~ or ~ A calendar system that is accurate through 52 year cycles, and 5,000 year cycles, and has a mathematical precision and accuracy unmatched in the rest of the world’s calenders? (though, I do like that this issue and article came up on Thor’s Day (Thursday) ). What an interesting and logical account of the Mayan calendar. I’d read bits and pieces but this is the most comprehensive and understadable article I’ve read. Thanks! and tie them to some hand-railing. Great reading! I love stuff like this. Can you confirm the exact time of the solstice. 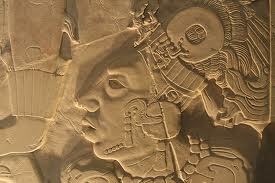 The Mayans would not base their calculations on GMT. 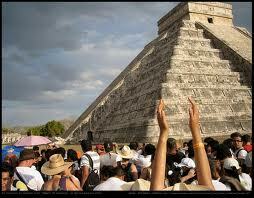 Using True Time, I believe the solstice will happen at Chichen Itza 5 hours and 54 minutes later than at Greenwich. 11:06 am, if I have the time zone right. I will be in Playa del Carmen to celebrate. The Yucatan / Mexico time of the 2012 Winter Solstice is mentioned somewhere in this article, but it is easier to just calculate it now: 11:05 AM UTC is officially shifted 6 hours from 5:05 AM in Yucatan and Mexico. Unfortunately, “official” time does NOT match the actual timing of viewing celestial events. Since Yucatan is fairly close to the eastern edge of the Central Time zone – then our ability to accurately view celestial events is fairly close to the reported “official time”. The further west one goes in a time zone causes the “official” times on a clock to get farther and farther from the actual times of celestial events. e.g. People in the eastern-most edge of a time zone see the sun rise much sooner that people in the western parts of that time zone. Enjoy the time in PDC ! Truth be told; the time does not really matter. The calculations are just for fun. As long as I have an Ojo Rojo in hand to celebrate, I will be happy. I will be sure to have one in your honor! Does the end of the world happen half an hour later in Newfoundland? Newfoundland Standard Time (NST) region keeps time by subtracting 3½ hours from Coordinated Universal Time (UTC), so, the end of their world will come 2½ hours before Yucatan’s terrors begin. Does it matter? Since fog-bound over-cast Newfoundland will not see the sun until May, the Vikings will be sneaking through the mists (again) to re-take Vine-Land, a feat they have been plotting since global warming has finally thawed out the maritimes enough to begin vino-kultur again. …..Greenland is a different matter. …. 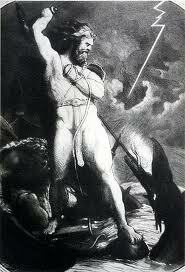 Realize that the Vikingos have bypassed Ireland, due to the pestilence of perversions. The soltace will be a half hour earlier unless the event is televised on the CBC; then it will be a half hour later (Newfie joke, ha ha) !! Plenty of blah..blah..about nothing ,even the calculation doesn’t make sense. How about 5128.7671 years ? Which gives us year 2014 ?????? You might want to review your multiplication, before criticizing a system that accurately counted the days over roughly a 2 million day span. You claim that “How about 5128.7671 years ? 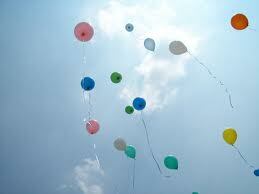 Which gives us year 2014 ????? ?” , might be more accurate. Yet, a simple single multiplication shows that your claim leads to an earth day of only 19 hr 37 minute 34 seconds. Why should we not use “5128.7671 years” ? …Consider that even the dullest 5’th grader knows about leap years – knowing that the length of a solar year cannot be described using whole days. As shown by the Gregorian calendar’s need to add a whole leap day every 4 years and another day every 200 years: the length of a mean solar year is 365.256363004 days. Said another way: How good is Rudy’s proposed time system, which cannot even measure hours, minutes or seconds? Rudy’s proposed “5128.7671 years” period multiplied by the official mean solar year (365.256363004 days), does not give a whole integer number result for days for Rudy’s period. A simple multiplication results in a 0.818 partial day remainder for Rudy’s system. This 0.818 day error means that in Rudy’s system, Rudy’s last day lasts only 19 hr 37 minutes and 24.15 seconds. Since most people on planet earth enjoy counting days as 1, 2, 3, 4, I suspect most earthlings would find Ruddy’s 0.818 day of just 19 hr 37 minutes and 24.15 second long day to be a bit odd? Or maybe I miscalculated the multiplication? Sorry Steve,I only used in my simplicity Maya’s sacred number:1872000 days divided by 365 days,and I am glad,if I’m wrong.Would you please explain how was 21.12.2012 calculated. I would be grateful for that.So far I haven’t been able to get this information Thank you. Really, your describing our efforts as “ Plenty of blah..blah..about nothing. ” , makes it difficult to seriously consider your subsequent request for the detailed explanations. If your intent is to ridicule, or to waste our time, then the discussion is over. It would take multiple paragraphs of superficial descriptions to even begin to explain the details of the calculations, so, I instead offer you a few benchmarks of how most experts approach this problem. One first starts with the initial calendar date 4-Ajau 8-Kumku (and Lord 9 of the Night) pair of Tzolkin and Haab calendar dates/day-names. But is this day zero or day 1 of the cycle? Next, you need to choose a coefficient to convert between Julian Day numbers and Maya Long Count dates. This step may be easy if you believe the generally accepted comparisons/correlations of various stelae dates for key celestial events vs. the Julian Dates for the same celestial events, accepting the GMT (Goodman-Martinez-Thompson) coefficient. The coefficient you choose, gives you the offset between the Julian Day Numbers and Maya Long Count dates. (Hint: Julian Day Numbers have nothing to do with the old Julian Calendar.) This point about the coefficient is not a minor one, as it leads you to choose between the GMT 584,283, or 584,285, or possibly the Böhm coefficient of 622,261 days. The Böhm brothers believe that their comparisons of 1,000’s of glyphs (from the Dresden Codex and stelae) describing celestial events and their dates vs. accepted Julian Day Numbers for the apparent same celestial events, gives a coefficient that better fits more key solstices, equinoxes, eclipses, and transits of Venus. 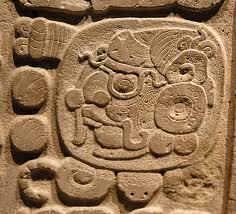 In reality, most archeologists rely on one or two respected Maya Calendar experts to give them modestly sophisticated computer programs to convert Maya Long Count dates to Gregorian dates, which means even Maya archeology experts consider the task to be sufficiently difficult that they rely on calendric experts. Me? I use the methods and tools of Sidney Hollander, INAH’s expert who was in charge of Calendrics and programming for Chichen Itza during the 1990’s, and who is also The Guy who programmed the calendric computer programs for the newly opened Museum of El Mundo Maya in Merida. Please forward this address from lyn benson to Sidney Hollander _________ . Sidney is the greatest expert regarding the Maya!!!!!! And yes, for people unfamiliar with the various Maya calendars, Sid Hollander understands the calendars in very special ways.